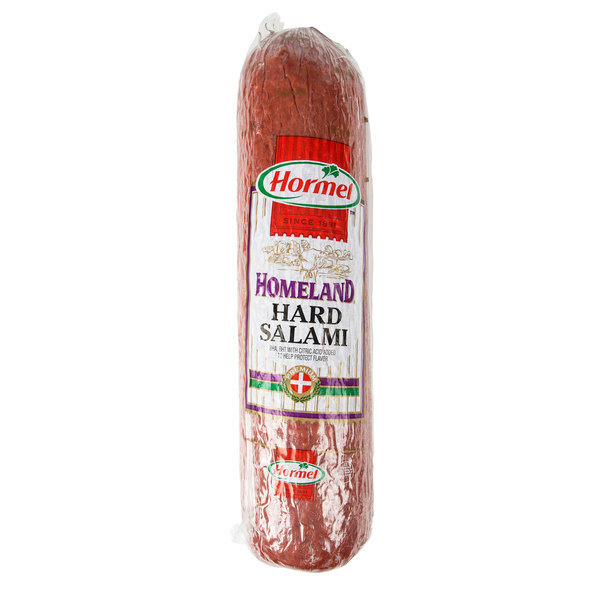 Pile your sandwiches with the bold flavor of this Hormel Homeland hard salami stick. 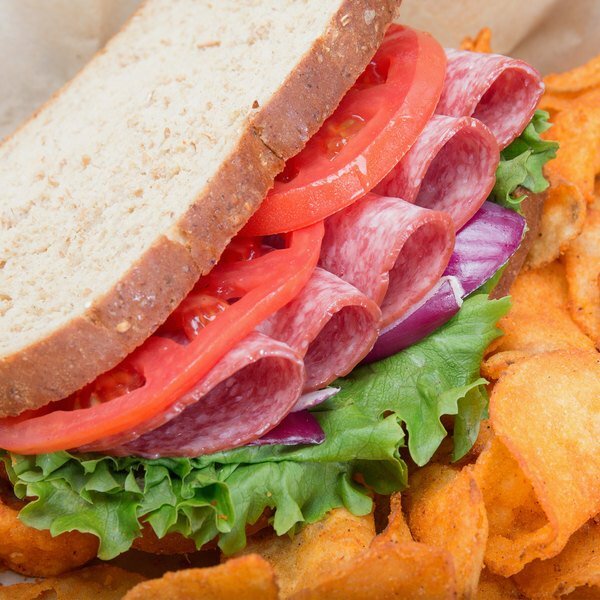 This hard salami is unsmoked and provides a hint of garlic for an authentic, savory flavor. Build deliciously classic salami sandwiches in your deli, topped with smoked provolone cheese, dijon mustard, sweet pickle relish, and banana peppers on a submarine roll. Use for slicing by the pound for customers, or incorporating into your deli trays for catering events. You can even use this salami to give a twist to the usual pancetta used in your spaghetti carbonara, or as a topping on your meat-lover's pizza. 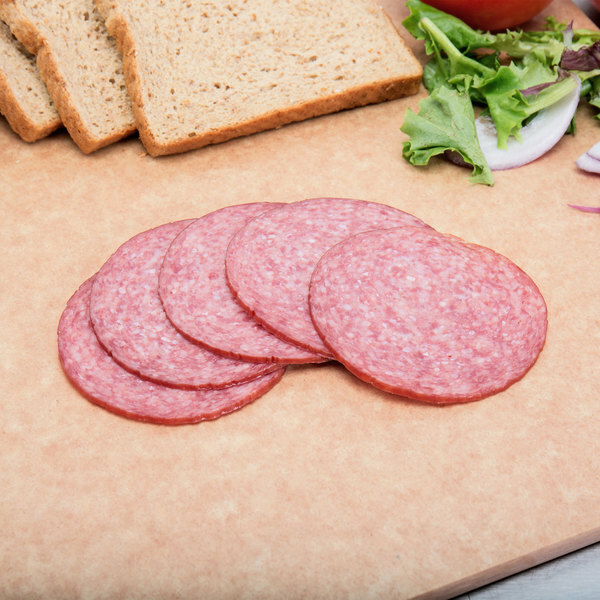 This salami is made with select cuts of beef and pork and BHA with citric acid is added to preserve its rich, savory flavor. It is fully cooked and is ready to serve after removing its easy peel casing. Great for stocking at your restaurant or deli, Italian eatery, or bustling bistro, simply slice it thick or thin, or cut into cubes, to create a variety of appetizing meals to offer on your menu.